Another month in the books, and racing marches on to the next stop. 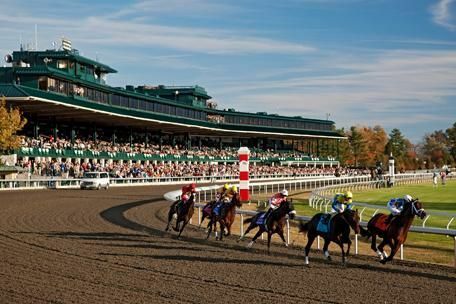 – Fall time racing is a signal for the Breeders’ Cup. 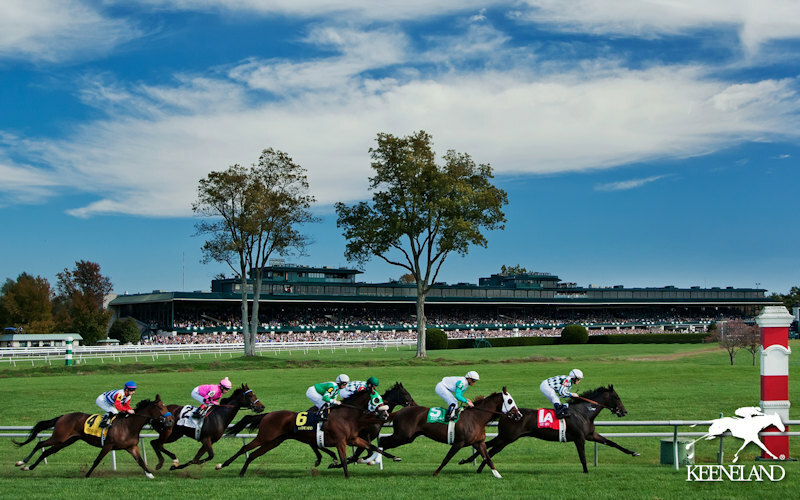 – As Keeneland opens you can feel the breeze turning cooler and leaves starting to change. The Happy Horseplayer looks forward to some special times this month. Last year I found myself “on the shelf” taking care of me and missed my treks to Lexington, Kentucky. – If you’ve never been, please keep it on your bucket list. You’ll remember the trip forever. – In addition, there were plenty of special memories that I enjoyed. I know that I’m not alone and if you were on hand you’ll have 7,000 reasons to remember September. The week started off as many, and the buzz was all around. – ” When do you think he’ll hit the milestone?” – Fans would stop and share stories, and players would ask how many more? – Perry Wayne Ouzts is 64-years-young. Leading up to the big milestone he was scheduled to ride 22 out of the 24 races for three days. – That was until he picked up a mount and made it 23 out of 24. – Emmy’s Candy was the lucky one for Perry. – He grabbed the lead in “Scoot n Boot” style and never looked back. – It couldn’t have been scripted any better than for Perry Ouzts to jump out and make every pole a winner. – His family was on hand, riders past and present, and HOF legend Pat Day came up to celebrate his victory. Every manager from both properties was on hand, colorful signage, and a trophy that was almost as tall as Perry. – An incredible day for one of the hardest working riders in the game. Few on words as Perry would rather do his talking on the track. – I spoke to him after the big win and asked what his plans were going to be. “I’m gonna come in tomorrow and go back to work.” – Winning races still feels the same as it did in 1973 aboard Rablue at Beulah Park. – Congrats, Perry! – Long may you ride. Keeneland is a magical place. – “If Heaven has a race track, I’m sure it looks like Keeneland.” – You walk through groves of trees and feel the energy in the air. You’ll see fans dressed for the occasion and ready to watch some of the best Thoroughbreds in training. It appears like the magical town of Brigadoon for 15 days each April and October.- When you hear the bugler call them onto the track. You know what awaits. – I’ve always loved Keeneland, and each time I walk past the Sycamore tree in the paddock I feel energized. – I sure did miss seeing the beauty and pageantry last year, and like a kid waiting for Christmas, I’m ready!